Heartache was inspired by the video game Undertale created by Toby Fox. 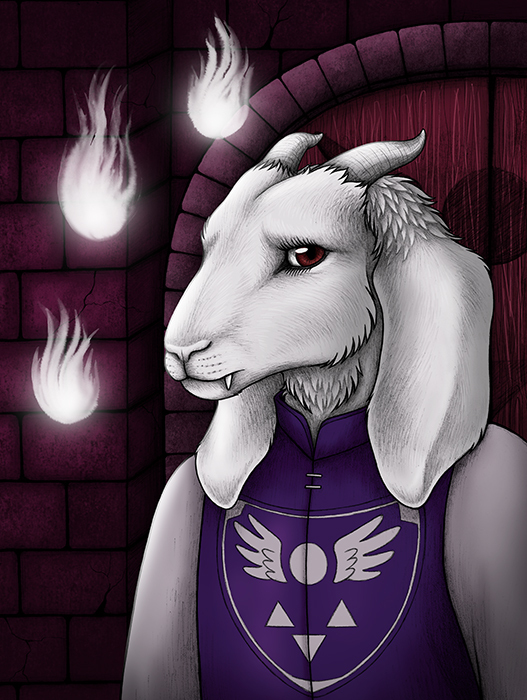 This is Toriel, who regretfully fights you with her fire magic in an attempt to stop you leaving the safety of her home in the ruins. I spent quite a while addicted to Undertale (and you might spot me at a comic con as Temmie) – if you’re after a cool new game to play, check it out!